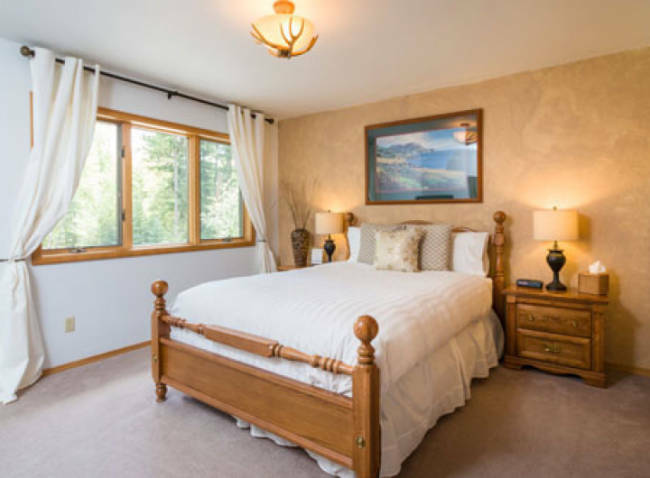 The Meadow Lake View Bed & Breakfast is a two-generation, family-owned B&B known for its friendly Montana hospitality. 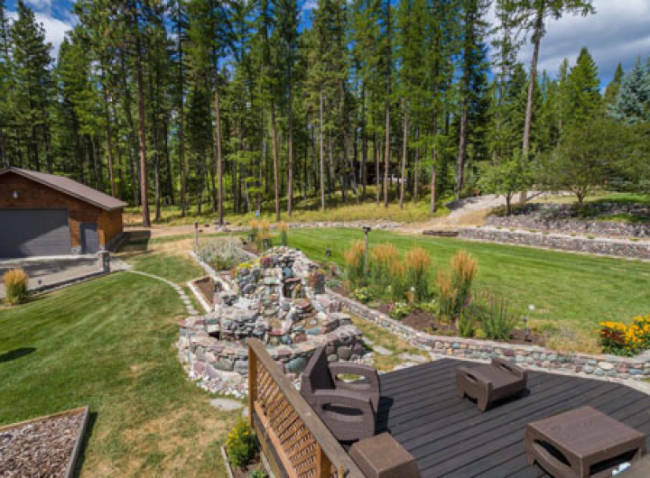 Located in the small town of Columbia Falls, this bed and breakfast provides easy access to Glacier's west entrance and is a great alternative to a hotel. 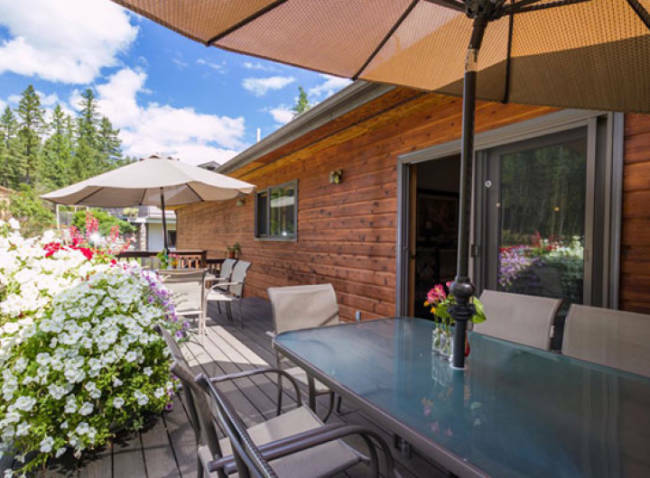 The Meadow Lake View Bed & Breakfast has four suites, a great room with a river rock fireplace and a back deck that looks out toward the mountains and the 17th fairway of the Meadow Lake Golf Course. Guests can enjoy a gourmet breakfast every morning in the dining room with great views. The rooms are newly renovated and each is equipped with a private bathroom with a tub/shower combination and a large vanity. Each room is filled with luxuries like fluffy duvets, equally soft pillows, and fresh towels each day. The hotel caters to couples so guests don't have to worry about waking up to crying babies or small children running around. This suite has a king bed and comes equipped with a private bathroom with a tub/shower combination. The suite faces the east, receiving the morning sunlight while offering views of the trees and golf course. 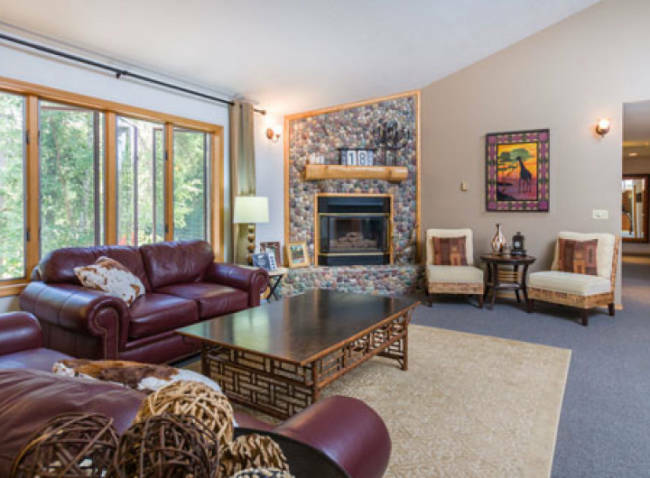 This "Juniper Suite" is the most spacious room on the property and overlooks the yard. 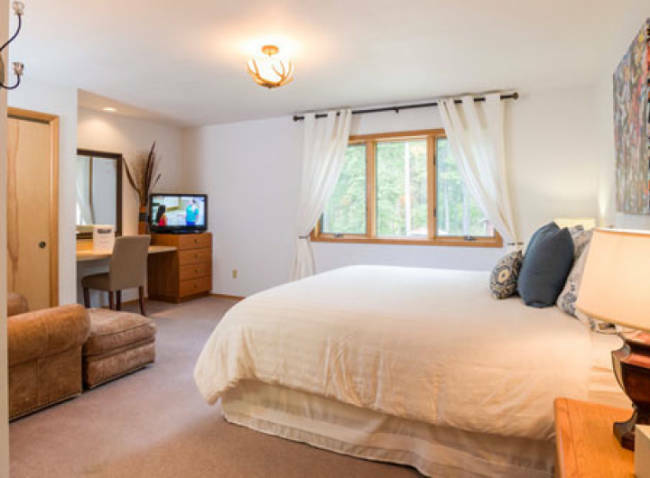 The room features a king bed and is equipped with a private bathroom with a tub/shower combination and a large vanity with a granite counter. This suite features a queen and a private bathroom with tub/shower combination. The room takes in the afternoon sun and and offers views of the garden. 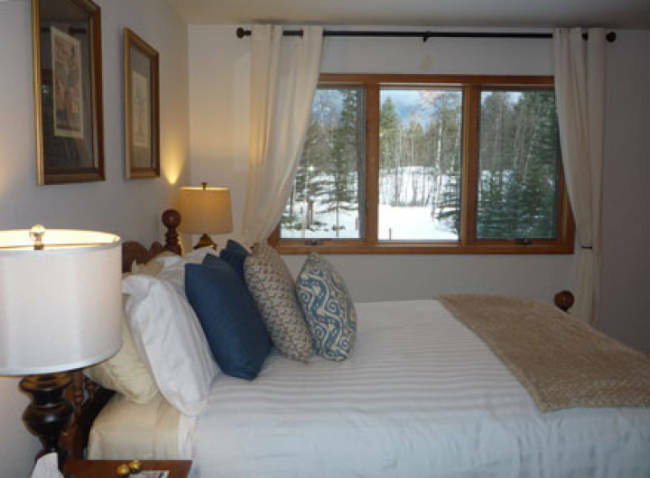 The "Cottonwood Suite" lets in the morning sunshine and offers nice views of the mountains and golf course. The room has a queen bed and a full bathroom with a granite counter vanity. A deposit of 2 nights is required at the time of booking. All credit card payments are subject to a 2.9% transaction fee. Cancellations made less than 14 days prior to the arrival date will incur the cost of the entire original reservation, less taxes. 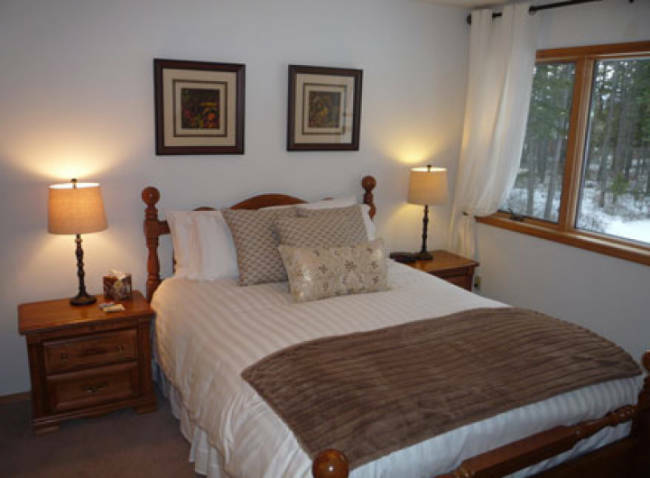 Meadow Lake View Bed & Breakfast welcomes young adults 18 years and older only. Gourmet Breakfast included each morning at 8:00am. A Roll away bed is available $35 per night. No smoking is allowed inside the B&B.